In his late 19th century book, the Spanish historian Manuel Sastron devoted an entire chapter to what was then called “Villa de Lipa,” an era when the town was something of a royal estate2 likely directly administered by the Spanish Crown. This distinction was given to Lipa because of its affluence, a consequence of its coffee plantations which made the country among the world’s greatest producers3 of coffee at the time. 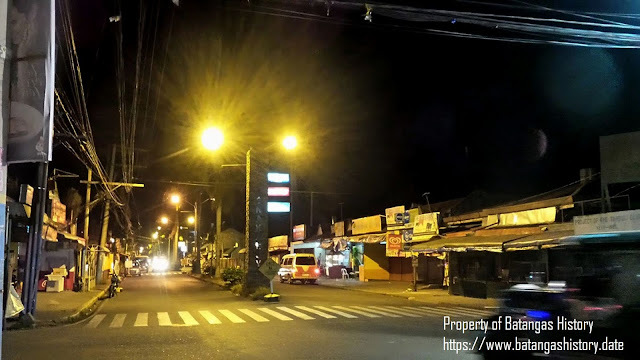 To the present day, the city of Lipa continues to be associated with coffee even if the boom was cut short to the point whereby production “had declined to almost nil” late in the 19th century by a fungus infestation4. What is all but forgotten was that the now-town of Mataasnakahoy was among the major contributors to Lipa’s wealth. The document did acknowledge that it was coffee that was Mataasnakahoy’s greatest contribution to the economy of Lipa, albeit its description of the industry’s decline contained a tinge of resentment or even envy. Sastron had written that the coffee boom brought “exceptional wealth” to about a dozen of Lipa’s already affluent families. Their wealth was such that their houses along Lipa’s main street were all built with sturdy materials; their women adorned themselves with the most expensive jewelry; they dined using the finest ceramic plates and silverware; and they entertained lavishly. From Sastron’s narrative, it is probably safe to assume that while there were vast swathes of land planted to coffee – and abaca – in Mataasnakahoy, the beneficiaries were really the affluent families in Lipa whose wealth he took great pains to describe. On 30 March 1931, acting Governor-General Butte would sign an executive order that would formally separate Mataasnakahoy from Lipa, the culmination of the work undertaken by the town’s leaders Antonio Mandigma, Victor Templo, Agapito Templo, Casiano Silva and Candido Recinto. By the 2nd of January 1932, it would be inaugurated as a new municipality8. Up until the present day, Mataasnakahoy’s continues to be a largely agrarian economy; and yes, coffee is still among its principal products, along with coconut and bananas. 1 “Filipinas: Pequeños Estudios; Batangas y su Provincia,” published 1895 in Malabon, by Manuel Sastron. 3 “Demythologizing the History of Coffee in Lipa, Batangas in the XIX Century,” a dissertation written by Maria Rita Isabel Santos Castro, 2003. 6 “A Compilation of Historical and Cultural Data of the Municipality of Mataasnakahoy, Batangas,” 1953, online at the National Library of the Philippines’ Digital Collections. 8 Historical Data, op. cit.